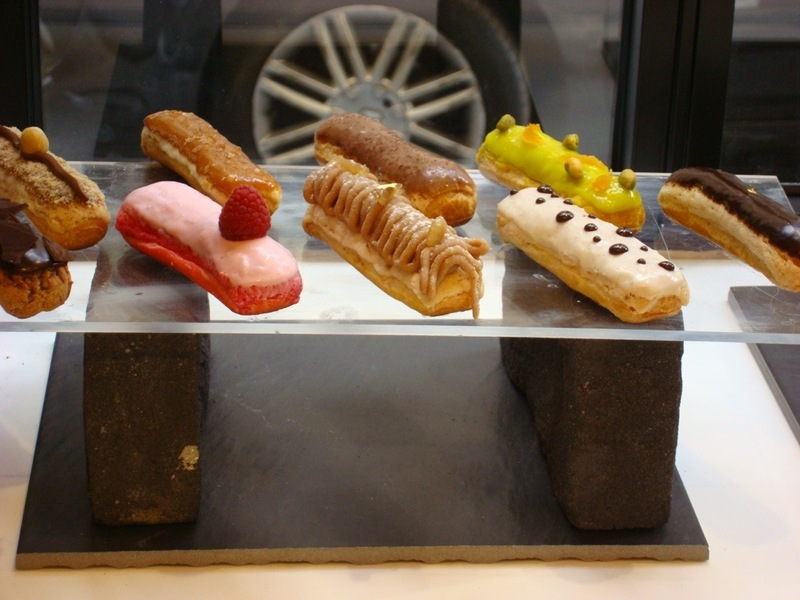 After macarons and cupcakes, and a tentative attempt by cake pops and whoopies to get in on the scene, is the regal eclair going to be next up on the podium? 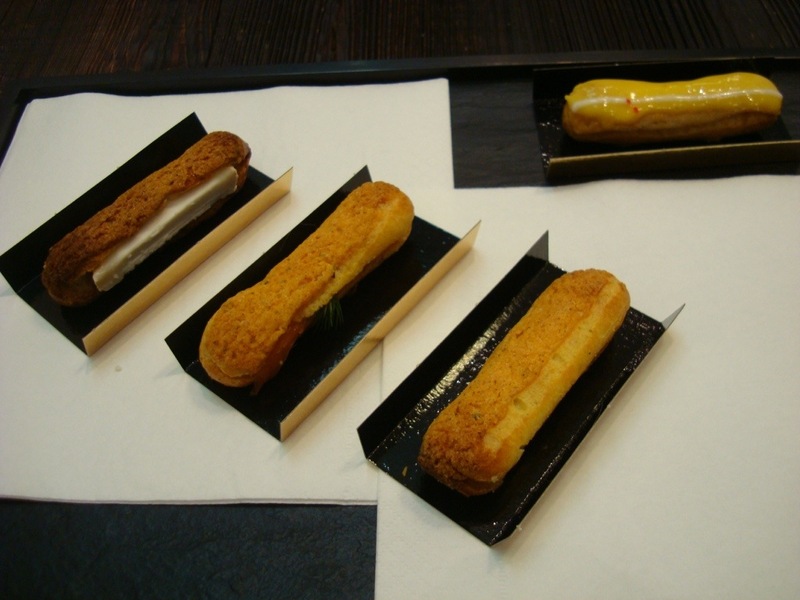 Two eclair emporiums have opened in Paris, both pretty high-end. In the one I visited first the eclairs have none of the fun pastel retro tones of the cupcake business. 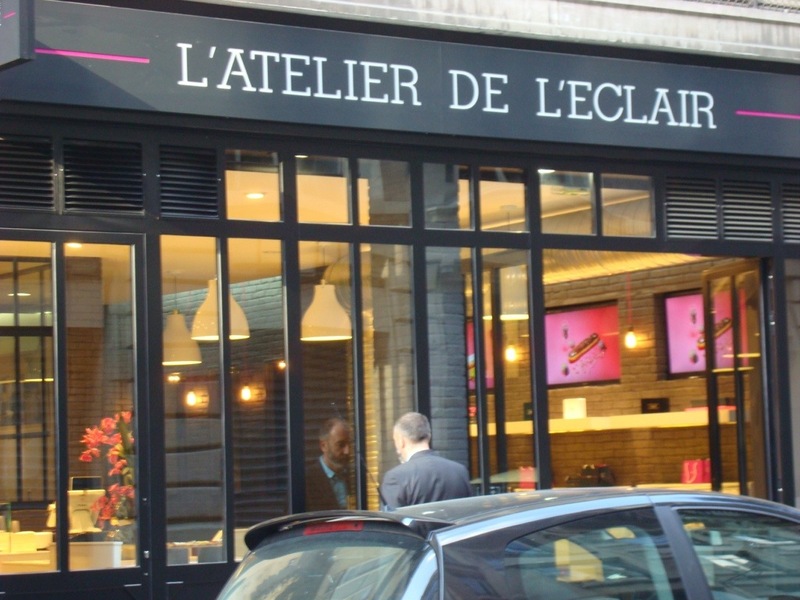 L’Atelier de l’Eclair is a large space showcasing laqueured jewels. And wow, you need some euros in your wallet. The minis, called cocktail size are about as big as my index finger. At least you feel you can try different flavours but at just under 3 euros a choice it quickly adds up. You can actually have a meal, with a savoury and a sweet eclair, but there weren’t any savouries that fit my eating choices so I went with the cocktails. 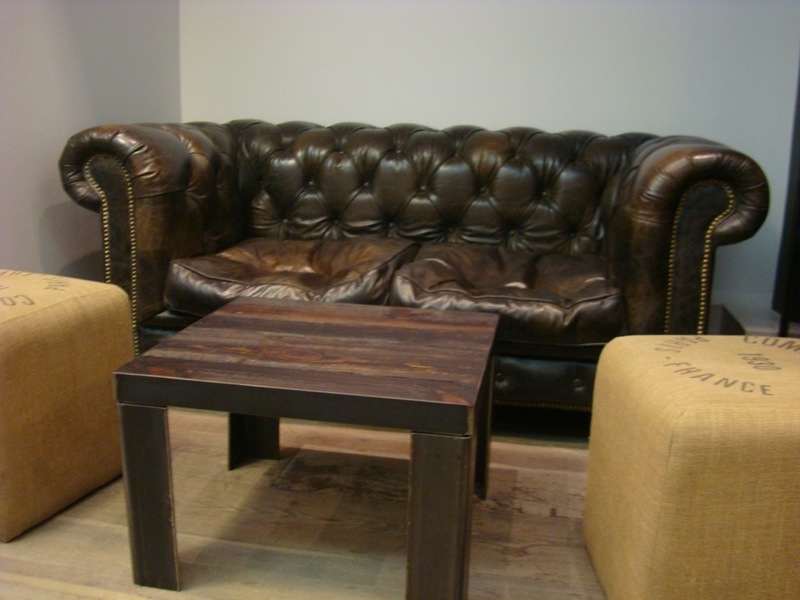 And if you choose to enjoy your eclairs sur place, there’s a comfy area à la Central Perk in Friends at the back which is good for taking your weight off your feet if you’ve been trampling the cobblestones from Opéra. You’ll hear reminds that the metros nearby though. The rose eclair Is sublimly presented. The mango passion fruit was high on mango and nice and tangy, rather like a sorbet but I didn’t feel the passion fruit coming through. Makes you want to scoff ten. I wouldn’t say it’s a meal because you don’t necessarily feel like you eaten one. A good things as we talking about eclairs. So it’s more of a light lunch or luxury gouter (French afternoon snack). You can get a salad too though to round it out. As it was towards the end of the afternoon on a weekday and 25 degrees outside it was about right. Next time I go back I’ll try and go at lunchtime. 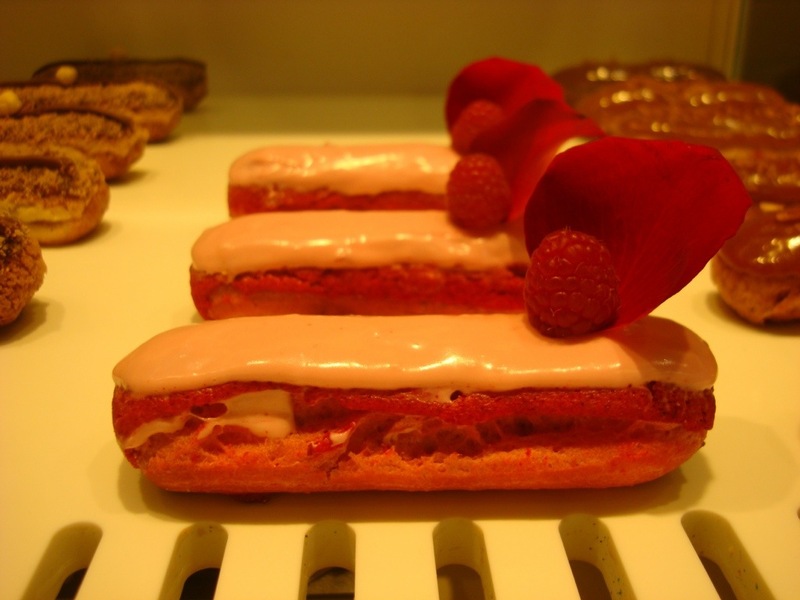 This entry was posted in Paris, Patisserie. Bookmark the permalink.